Passing the IELTS speaking test with a good grade will depend on your ability to answer the questions using appropriate vocabulary in the correct context. Collocations are words that naturally combine to form a phrase. These words when used in combination makes the English speaker sound more fluent and natural. This is why we will be learning collocations under various subject headings over the next twenty lessons. In these lessons, we take you through typical IELTS speaking questions with suggested answers. At the bottom of the page, you’ll find the phrases that we have used with the definition of the phrase. Look them up if you have any doubt about their meaning. Examiner: Where do you like to travel during the holidays? Answer: I like to travel abroad but it can be expensive, so I usually plan affordable travel. Travelling to holiday destinations when it is out of season saves a lot of money. Out of season travel is also the best way to avoid places that are swarming with tourists. Examiner: What are your favourite holiday pastimes? Answer: I like to get away from it all. I look for exotic destinations with scenic views that are off the beaten track. I tend to avoid guided tours and packaged deals as I prefer to go sightseeing on my own. Examiner: How do you plan and prepare for your holiday? Answer: I always do my research. I thumb through holiday brochures and check travel sites like Airbnb on the Internet. I’m drawn to spectacular beaches and lush forests. I usually make advance reservations for self-catering accommodation. Examiner: Describe one of your best travel experiences. This type of question supports a when, where and who reply. Answer: Last year a friend and I took a long-haul flight to Peru. We were travelling light so we were able to really get around. We stayed in quaint villages and hiked through lush rainforests. We were determined to do as the locals do, so we stayed with local people for part of the trip. We visited colourful craft markets and brought back souvenirs, to remind us of our trip. One of my most memorable experiences was to the Sacred Valley of the Incas. It is a little bit off the beaten track but it is surrounded by great scenic beauty and magnificent landscapes. Examiner: What type of holiday destination do you think attracts most tourists? 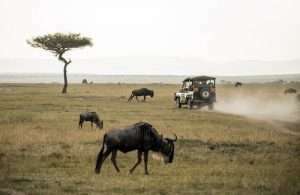 Answer: I know that many people are drawn to wildlife safaris. This is certainly one of the big attractions in Africa. In Europe and Asia, the stunning architecture, museums and arts and culture attract thousands of tourists every year. Examiner: Do you think that the tourism industry will continue to grow in the next two decades? Answer: I do. Many European and Asian countries have aging populations who will have time on their hands in the future. Many of them are likely to seek holiday destinations around the world. Today there are many affordable destinations that offer good value for money. Examiner: What do you think that your country could do to attract more tourists? Answer: My country has stringent visa regulations. If these were relaxed, I think that more visitors would choose to visit. We have an efficient public transport, plenty of accommodation and natural and historical places of interest.